Purpose: The Travel Enrichment Experience (TEE) will provide an opportunity for WSSA graduate students to participate in a five day, four night educational experience with professionals in a different WSSA region. Student Application Deadline: WSSA Treasurer Phil Banks, must receive all application materials via email by June 1, 2018. Please use “WSSA Travel Enrichment Experience” in subject line. Submission of all information into a single PDF file is preferred but not required. Description of Scholarship: TEE recipients will have a five day, four night educational experience of their choosing, as described in Table 1. 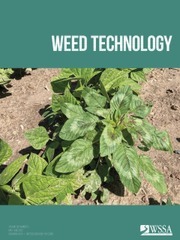 Opportunities for broadening knowledge of weed science range from field, lab, and Extension settings with industry, government, or university professionals. Each recipient will be awarded $2000 from the WSSA to pay for expenses incurred during his/her experience. 4. Each recipient must submit an abstract and present a 10-minute paper about his/her experience at the following WSSA annual meeting. Specifics will be provided directly to recipients. 6. Email application information to Phil Banks (marathonag@zianet.com) by June 1, 2018, with “WSSA Travel Enrichment Experience” in the subject line. 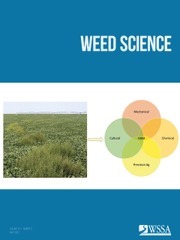 Selection Criteria and Process: Applicants will be evaluated based on contribution of research to the discipline of weed science and to the WSSA objectives, academic record and scholarly achievements, and potential contributions to the future of weed science. Submitted applications will be distributed to the selection committee members where each member of the committee will evaluate and rank the applicants as shown on the Application Evaluation Form on Page 8. One student from each U.S. region and one from Canada will be selected. Judging will not be performed by individuals with a personal or advisory affiliation with an applicant. Timeline: The selection process will be completed by June 20, 2018. TEE recipients and their host(s) will determine the date in 2018 for the experience to occur. The selection committee will function as a liaison between the recipients and their host(s) throughout the process. 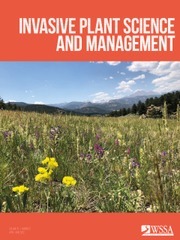 Revising Guidelines or Procedures: The selection committee can make changes or revisions to the TEE guidelines and operating procedures as more experience is obtained. The committee welcomes suggestions from the membership on methods to improve this experience for students. More details of the and a list of potential hosts can be found here. This entry was posted in Headlines.